After much stress and turmoil, the guys of JYJ are finally launched and trying to show Korea -- and the world -- what they're about. A stop in Busan will be made during the group's world tour, Reports of previous stops in the US and other Asian cities have all been positive and raving. Along with their stage presence, talented vocals, and powerful dance moves, look forward to the collaboration between tour direct Kim Jae-joong and American tour director Jeri Slaughter. 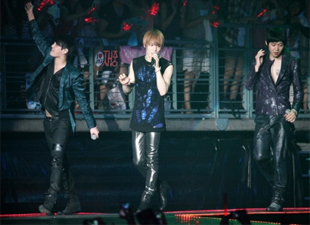 It's sure to be a show JYJ fans will not be able to forget!